Florals are one of the easiest way to add dimensions to anything - and this dress is no exception. Crafted in a fit-and-flare silhouette and knee-length cut, this piece features soft patterns that bring out your femininity. Also available in Wine Red / Pink / Navy and in XS - XL. Recommended to opt for courier delivery during this festive period. Textures are one of the easiest way to add dimensions to anything - and this dress is no exception. Crafted in a fit-and-flare silhouette and knee-length cut, this piece features soft patterns that bring out your femininity. Also available in Floral Prints / Pink / Navy and in XS - XL. Recommended to opt for courier delivery during this festive period. This vintage inspired piece can be matched with almost everything - it's just so versatile. 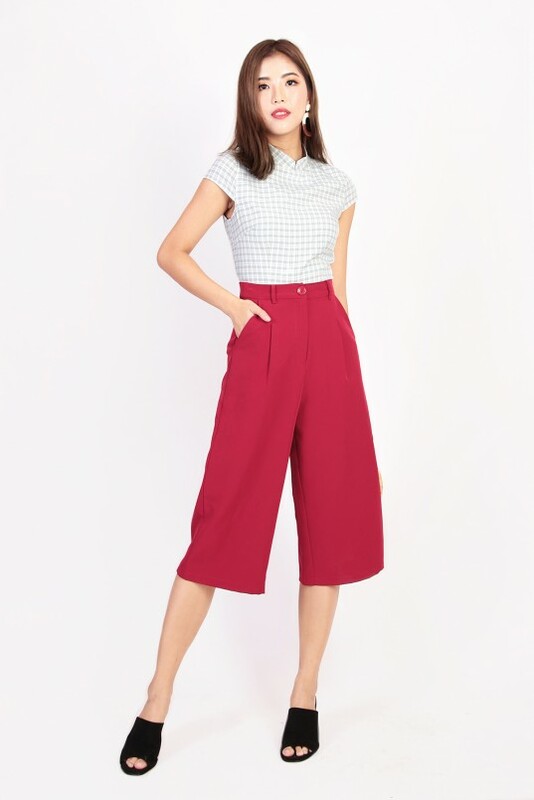 Channel the 1960s vibe when you pair this gingham top with a midi skirt and flats. Also available in Jade and in XS/S/M/L/XL. Recommended to opt for courier delivery during this festive period. The mesh overlay is simply hard to miss in this printed dress. Combined with a variety of feminine touches, this design features romantic floral prints and floaty mesh overlay for the extra detail. Enhance its sweet outlook by styling it with flats. Also available in Navy and in XXS - XL. Recommended to opt for courier delivery during this festive period.